As befits a Friday the 13th, something sinister is coming to Netflix. No, not more additions to that weird Five Movements dance from The OA. 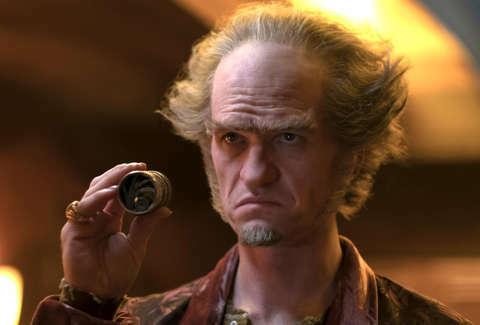 I'm talking about Count Olaf, the Lemony Snicket villain played by a prosthetics-obscured Neil Patrick Harris in the streaming service's new eight-episode adaptation of Daniel Handler's A Series of Unfortunate Events book series. 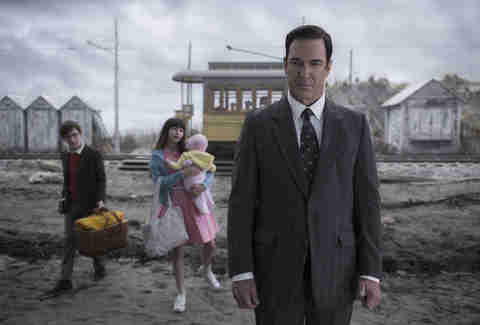 In Lemony Snicket's world, things are rarely as they seem -- so you might not want to take the marketing campaign telling you not to watch the show too seriously. Netflix obviously wants you to stream this big-budget, star-studded adaptation immediately and obsessively. Here's why you shouldn't look away. The Series revolves around the Baudelaire orphans, three siblings whose parents have perished in a fire of dubious origin. 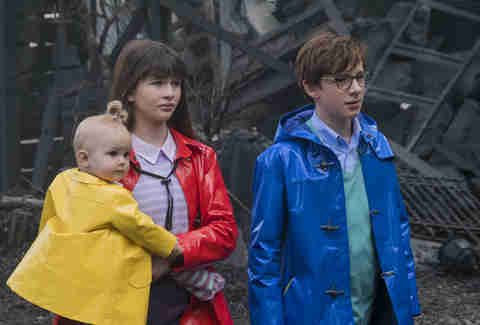 There's Violet (Malina Weissman), a 14-year-old who'll inherit her parents' immense fortune in four years; Klaus (Louis Hynes), a bookish tween with the glasses to match; and Sunny (Presley Smith, but also, at times, an egregious prop baby), a babbling infant whose unique talent is whittling objects with her very sharp teeth. This first season finds the orphans shuttling between various illegitimate guardians in humorously frustrating fashion as even more friendly figures drop dead around them. 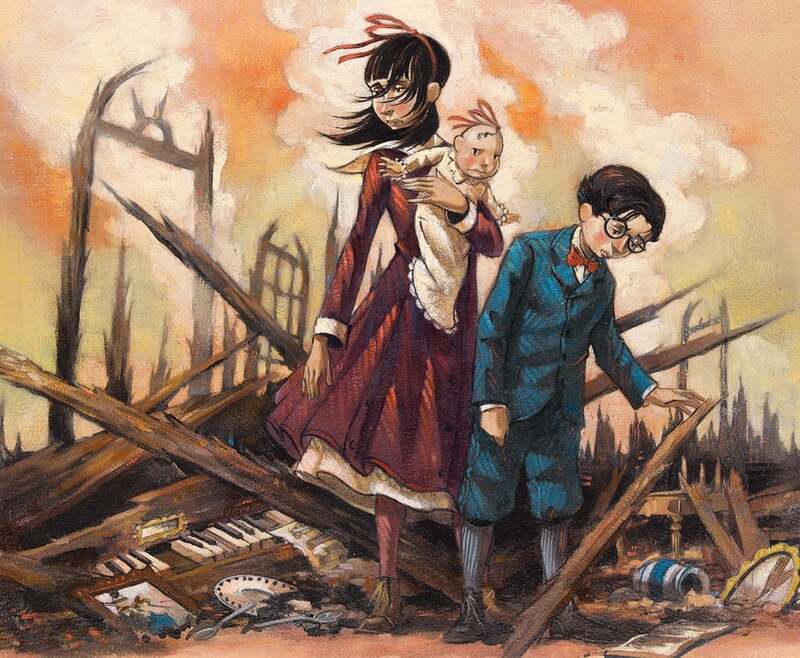 While the original Series of Unfortunate Events books were ostensibly targeted at middle-grade readers, this prestige-drenched adaptation has plenty for grown-ups to latch onto. Much like Harry Potter before it, the Unfortunate series offered a well-defined new world, progressive humor, and literary references that delighted more advanced minds. 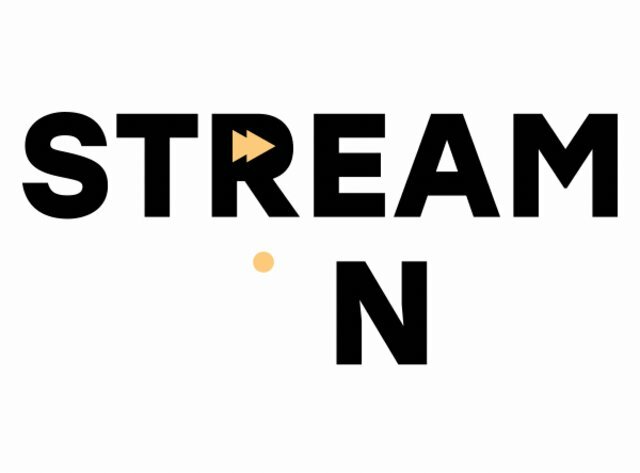 The Netflix version offers similarly safe-but-edgy material, with super-dry jokes, meta humor (like characters lauding streaming TV as the finest art form, and looking into the camera after saying so), and details of a perilous conspiracy surfacing in each installment. Fans might recall the 2004 big-screen adaptation of Snicket's books, which starred an ostentatious Jim Carrey as Count Olaf and didn't get around to sequelizing before its child stars hit puberty, that dastardly dream-crusher on the kiddie acting scene. Netflix has two key weapons to elevate its project from the earlier adaptation: Neil Patrick Harris and Daniel Handler (whom we'll talk more about later). As Count Olaf, the dirty-fingernailed thespian hungering for the Baudelaire orphans' fortune, the How I Met Your Mother alum dons wigs and prosthetics (nose and leg) with a grimy flamboyance. Each episode sees the Count launch an obscene new scheme to get control of the kids -- while other adults stand by, oblivious and unhelpful. Olaf chews the scenery -- literally at some points, when he scarfs down decadent foods with his hands -- with a campy wickedness that makes him the perfect villain. Doing justice to the series' original illustrations by Brett Helquist, every frame of this Series is a veritable work of art. Thanks to production design from Bo Welch (who did similar work for Tim Burton's Edward Scissorhands, Beetlejuice, and more), meticulously composed shots and color palettes pop off the screen like a child's fantasy come to life. Like the books, despite several modern (and potentially anachronistic) references, the time period in which the show unfolds isn't specified, although it more closely resembles that of Fantastic Beasts and Where to Find Them than the more modern Harry Potter. Best of all, backgrounds jam-packed with detail encourage a rewatch, much like expository breadcrumbs encouraged a reread back when this story was confined to a page. Yeah, that's right: Puddy from Seinfeld, thanks to his baritone readings of Lemony Snicket's most deadpan lines, provides many of the series' strongest moments. Credit for Warburton's killer lines goes to Daniel Handler, the author behind Snicket, who's written the bulk of the scripts for Netflix and executive-produced the show along with Barry Sonnenfeld (The Addams Family Values, Men in Black), who was originally slated to direct the Jim Carrey movie. If you're wondering what the hell happened the first time around, Handler spilled the story to the AV Club back in 2005: "I had written eight drafts of the screenplay when this changing-of-the-guard thing happened, and I said to the new producers, 'I don't think I could write any more drafts.' I guess I was sort of hoping they would say, 'Well that's okay, this last one is perfect.' But instead, they said, 'It's funny you should say that. We don't think you can write any more drafts either.'" Thanks to Netflix, we finally get a glimpse of the author's own vision. And unlike the 2004 movie, for which Jude Law provided voice-over narration, Warburton's Lemony Snicket character appears on screen, and the show is all the better for it. Snicket's omniscient narration is layered over the foreground more stylishly, and details of his own mystery unfold alongside -- and within -- the Baudelaire saga. 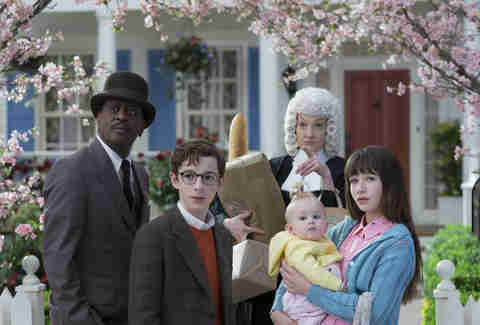 Eccentric supporting roles throughout the Baudelaire kids' journey are played by the likes of Joan Cusack, Alfre Woodard, Aasif Mandvi, Rhys Darby, and Catherine O'Hara, and you'll also find Will Arnett and Cobie Smulders in very curious parental roles. That's some stiff competition for the young actors playing the protagonists, but that's fine, especially since they look the part, which is the most important detail in Lemony Snicket's painstakingly re-created world. Episodes 1 through 8 cover the first four Unfortunate books, and due to their faithfulness to the source text, the story can drag at times. Still, with nine books to go and Season 2 looming on the far reaches of the Netflix schedule horizon, even this very devoted book fan with knowledge of the end game is eager to watch the Baudelaires suffer. Lauren Leibowitz is an editor at Thrillist Entertainment who learned about her literary heroes via Lemony Snicket. Find her on Twitter @lleibowitzz.